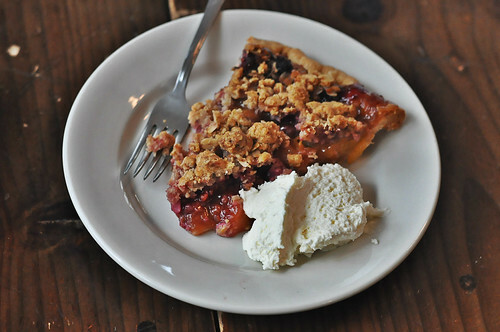 Blondie tried their Raspberry Peach Pie last summer and was a huge fan. Four & Twenty's crust is exceptional--it's tender and buttery and flaky and every a good pie crust should be. But as a kid, I was all about the crumble, so if you offer me crumb topping, chances are I'm going to go for it. As with all of Four & Twenty's pies, the filling is pitch perfect. Not to sweet, not too soupy. And their crumb topping has a hint of spices. Their pie menu is seasonal and they use fresh produce from a local orchard, so if you want some of this, get on it. Stat.